We gave Maryam’s the perfect touch that reciprocates their work ethics and vision in shape of their online store. Debuting in ever evolving fashion industry of Pakistan, Maryam’s brought in fresh ideas for women apparel. They have enticing designing ideas for western, seasonal and casual wear for Pakistani women but the main issue was broadcasting their views online. We gave Maryam’s wings and it started soaring high in the sky with its beautifully designed website that fulfills all the prerequisites of an online store. It has a checkout section, systematically segregated sections and a clear design. For a brand’s website, it is crucial to load in minimum timeframe as no visitor is ready to wait for more than 10 seconds. If the website doesn’t load in a blink of the eye, there’s a high chance that it can lose a potential customer. Keeping this concept in mind, we kept the load time as short as it could get. No doubt that WordPress is a great platform with so many amazing features but for an online store, it has some limitations. Woo Commerce gracefully remove this limitations and helps the online store in executing different sales operations at a lightning speed and Maryam’s are using this plugin to execute their routine operations. The primary function of a website is to help a user find the most relevant information that he/she’s been looking during his search phase. We tried our best to maintain an element of ‘constructive design’ while developing the website for Maryam’s and it turned out just the way we wanted it to be. Given the fact that majority of internet users access any site through their mobile, every online store requires a mobile-friendly website design. 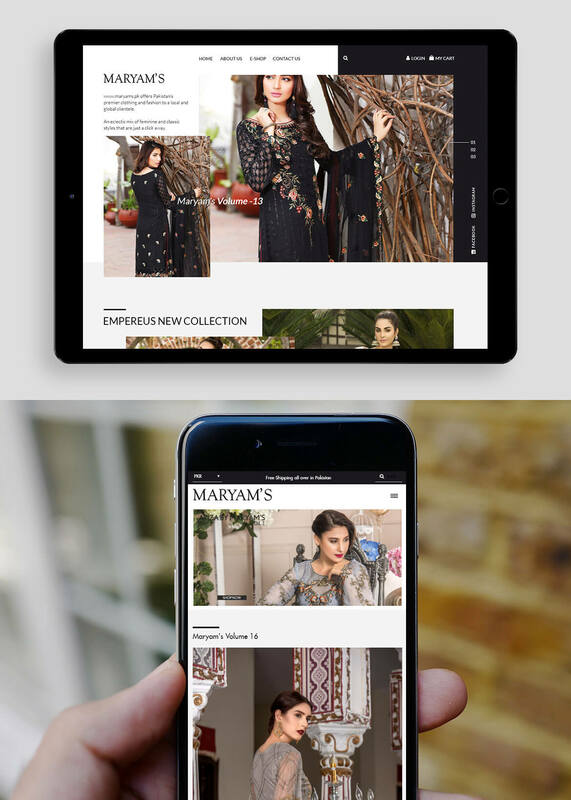 Maryam’s beautifully meets this requirement for user retention with an ideal mobile interface that lets the user access each section and view smallest details of the apparels on their mobile that they do on a desktop. 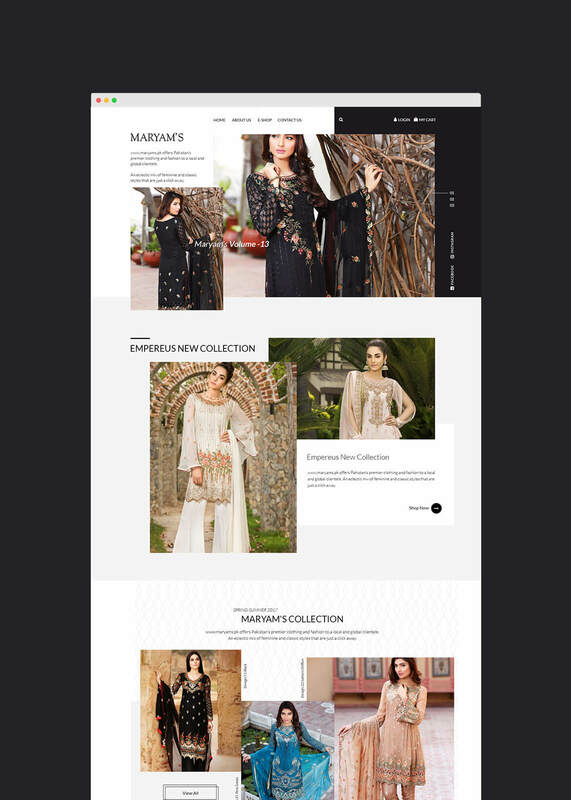 We designed a very clear, concise and user friendly website for Maryam’s that leveraged their sales goals. Now they can showcase their products, list prices and offer different discounts in a timesaving manner using their website.